SF State groups beat back pouring-rights contract worth millions. On Nov. 19, a group of about 20 college students in San Francisco, California, managed to do what countless community leaders and health advocates have failed to do: beat Big Soda. After a five-month campaign protesting San Francisco State University’s pursuit of a 10-year pouring-rights contract with The Coca-Cola Co. or PepsiCo Inc., the student-run SF State chapter of Real Food Challenge (RFC) convinced SF State President Leslie Wong to stop the contract process. Sixteen other student organizations, two grassroots community-health collaborations, several SF State faculty members, the San Francisco Board of Supervisors and more than 10 percent of the student body assisted the RFC. Commonplace since the 1990s, pouring-rights contracts grant corporations exclusive sales and marketing opportunities on school campuses in exchange for funds, the use of which is often restricted to purposes designed to funnel money back to the provider. The SF State deal was poised to bring in a one-time minimum contribution of US$2 million and annual contributions of at least $125,000, according to a May SF State request for proposals obtained by the CrossFit Journal. Though Big Soda dollars promise relief in the face of budget deficits and a lack of government funding for higher education, critics argue that ubiquitous on-campus marketing of sugar-sweetened beverages does more harm than good. Added sugar has been shown to increase risk for diabetes, tooth decay, obesity and a host of other health problems. 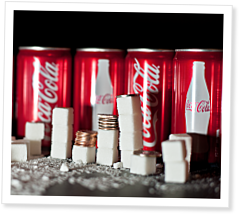 With treatment of chronic disease eating up health-care budgets, elected officials consider excise taxes to reduce consumption of harmful sugary beverages. Brittney Saline details how exercise and healthy eating might be the best way to combat sugar-fueled depression. State sponsored terrorism...whatever happened to the individual fundamental right to decide? And what about those soda drinks like Kill Cliff? Are they included? A sound body has a sound mind which provide online assignment writing service. The good health makes the mind of the students sharper day by day. The different exercises and games help the students to become healthy and fit which helps the students to be focus on their studies to get the best grades. Thank you for so interesting and useful information. It's really good written and easy to read, about so important questions. Usually, it's hard to start and I'm happy to share with you, my experience of good start for a term paper . Great really great topic, I was very pleased to read it. But I can't say that I got everything good with my motivation....For my big pleasure, I found post 7 Ways to Become an Open Minded Person Even if You See Yourself as Hopelessly Dull , and it helps me gratefully.